Just a few links to Panhard related websites or info on the web... I will add more as I go through my bookmarks. 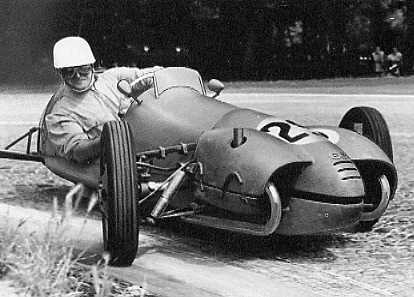 Peter Breed in the Netherlands has been actively involved with Panhards from his youth, and it shows. He is an extremely capable Panhard mechanic, and runs a successful APK Garage alongside his Panhard & classic vehicle interests. I first met Peter when I went to the Netherlands to show my oil filter conversion at a Panhard meet, and we have worked on a few things together since. 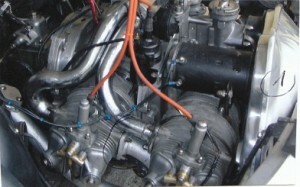 He is not only a superb Panhard mechanic, but he can update the crankshaft, connecting rods and pistons with modern components, as well as offer a full cylinder rebore. He is an active member of the Panhard Club in the Netherlands, and his website can be found here. Peter produced this French language pdf illustrating the crankshaft restoration process. (10.3 Mb). 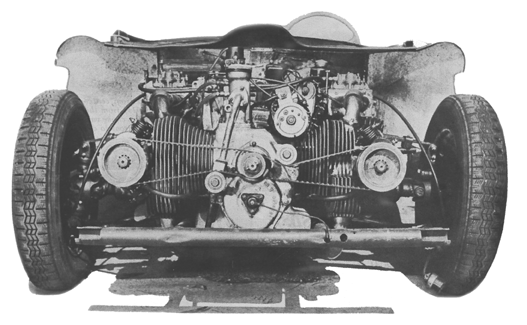 The Panhard air cooled twin engines have been modified extensively over the years, one of the earliest more extreme examples was this from Devin Sports Cars in the USA, who fitted a set of Norton DOHC cylinders to a Panhard crankcase, complete with rubber timing belts, which was very innovative for its time, and predates NSU with their production car. Another special built in America, was this Fairchild derivative, found here. Thanks to Stefaan Vernyns for the link. Another Frenchman who is a real Panhard enthusiast, and former lecturer in Mechanical Design is M. Jean Claude Guny, and his education shows. In fact M. Guny thinks he thought of the oil filter idea before me, but to be fair it wasn’t the case. I remember trying to talk to him, but he was having none of it, but I couldn’t speak any French, so no wonder things didn’t go great. 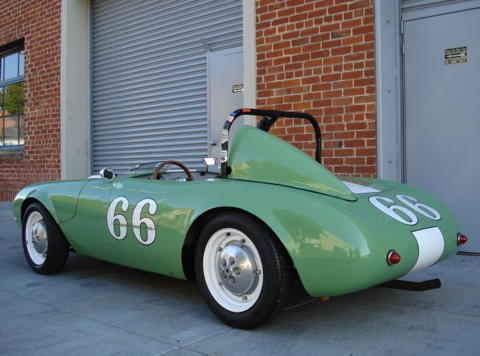 However, after learning more about him, it’s obvious our occupations and training are similar and no wonder when combined with a mutual interest in Panhard engines, that we both produced similar ideas. My filter work came from stripping my 17BT engine in 1984, and I actually started machining it whilst working at Xerox on a Downham Mini Borer, but as I couldn’t get any BMW pistons to replace the originals, I parked the project in an ice cream tub and the car in a farm building. It was some years later,in the mid 1990’s, when I had a barn to keep the cars in, that I started to rebuild the car again. Unfortunately, the car was never completed nor was the engine, and it was only by chance I found the ice cream tub, and decided to chase it up. Anyway, I noticed after trolling some French sites that he is still doing good work, and again I see parallel developments here too, so I’d like to suggest this link as a starting point, because we are both similar thinkers. It’s a wonderful thing to see two people with a different language in different countries both having similar thoughts about a common interest, which really does reinforce good design has no language barriers.